Growing up in rural Taranaki, New Zealand, Ruth could never have imagined the adventures that God had planned for her. Challenges faced as a single woman living and travelling in India, taught her to rely on God in new ways. Then, many years later, God’s promise to her as a young woman was fulfilled. But WHY after 35 years of faithful service, did God allow tragedy and suffering to enter her life? You will be inspired and challenged by her story. 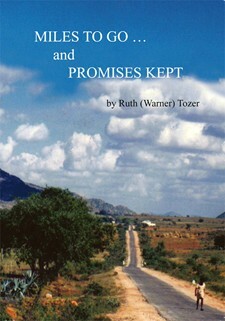 "Ruth's autobiography is a most fascinating and enthralling read. I very warmly commend this account of her life. We cannot get enough of these stories that tell of God’s faithfulness, leading and provision for anyone who responds to His call and claim on their lives."